1. 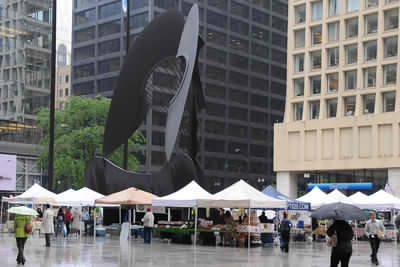 Daley Plaza Farmers Market offers a large selection of fruits, vegetables, and baked goods each Thursday in Daley Plaza. 2. 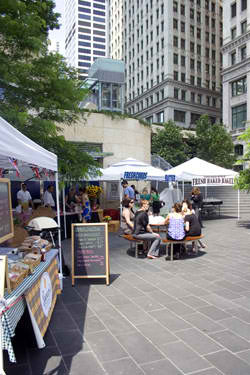 The Trump Tower Farmers Market is one of the newest farmers markets downtown. The market is only open a select number of dates this summer so be sure to visit this one before it's gone. 3. Go to the Division Street Farmers Market located in the Gold Coast each Saturday morning for a wide variety of fresh produce. 4. I love visiting the Museum of Contemporary Art/Streeterville Farmers Market each Tuesday for a lunch time snack. 5. The Green City Market is located in Lincoln Park and is Chicago's only year-round market. 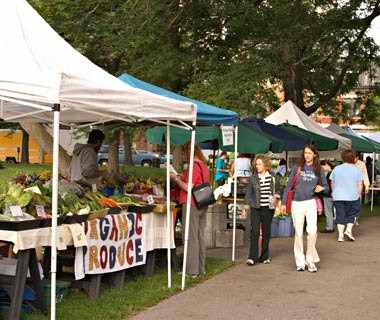 The market features lots of entertainment and a large selection of flowers, produce and delicious baked goods.